My Romantic Road posts start back here. From Wurzburg, I caught the train back to Munich and flew back to England. I had some hassles with the berks at the hotel in Munich, but it all worked out. Damn that was a fun ride. The best I've ever done? Probably. The route is supposed to be 420 kms long, but with my propensity for getting lost I had done 550kms by the time I reached Wurzburg. If I was doing the trip again, I would take a few extra days, so I could do more sightseeing. The part of the ride near Fussen is quite hilly, and it's easy to over-estimate how much ground you can cover in a day. 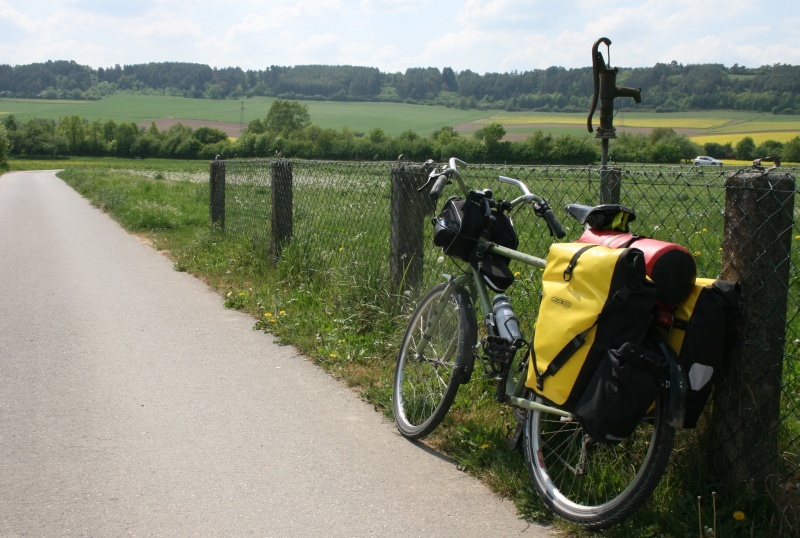 Considering it is the most popular long-distance ride in Germany, I hardly saw any other touring cyclists. I was told that was because it was so early in the season. I was very lucky with the weather. The locals were universally kind. Their food is very meat-based, but that works okay when cycling all day.